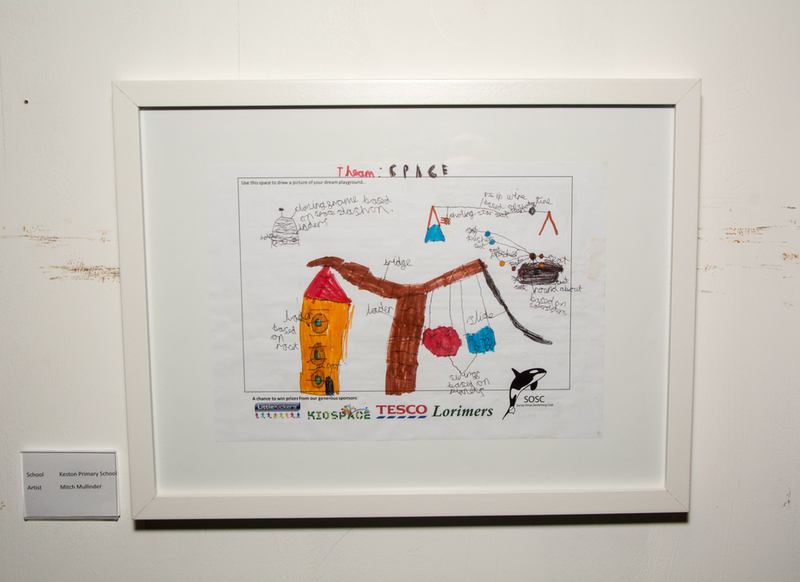 'Design your Dream Playground' competition winners! We are delighted to announce the winners of our 'Design your Dream Playground' competition. We received over 100 entries, so many of which showed incredible artistic flair and imagination and we are very grateful to all those children who submitted entries as this will help inform our designs for the playground. George Ioannou, local artist and owner of Art Rebellion in Coulsdon, had the extremely difficult task of deciding the winning entries and presented the winners with goodie bags filled with gifts from local businesses on Tuesday 18 November 2014 at Art Rebellion. Prizes included craft activities from Tesco, a £10 gift voucher from Lorimers, a family day pass for Kidspace and a free swimming lesson with the Surrey Orcas. 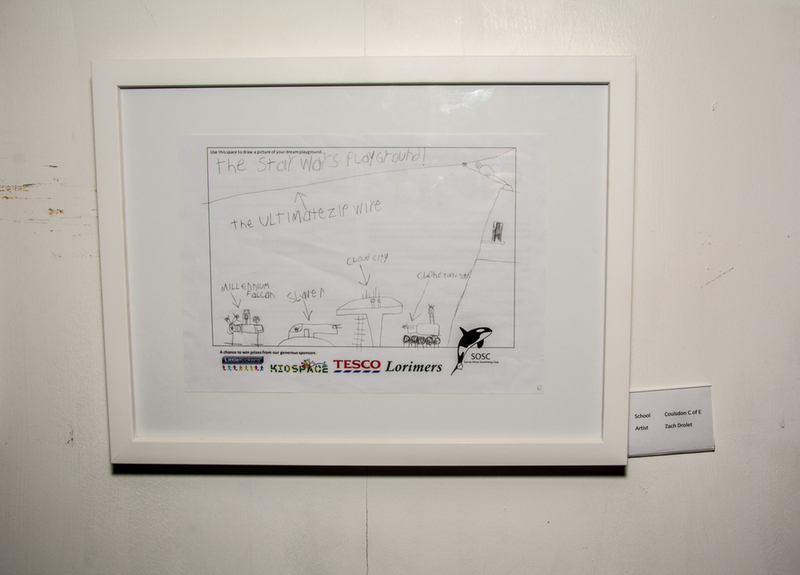 George has very generously framed each of the winning entries, and is exhibiting them in his Gallery for the coming week! The winning entries are shown below. Well done everyone! The Friends would like to thank Michael John Sansom for once again giving up his time to take very professional photographs at this event.